When you take out a mortgage, your lender places a mortgage lien on the property. Your house then serves as security for your mortgage loan. If you stop putting payments toward your mortgage balance, the lender will call its lien due and foreclose on your home. Often, houses carry more than one lien. What happens to those liens during foreclosure depends on when they were filed. The date a lien was filed dictates its status and, subsequently, its priority. Because mortgage companies file liens against houses as part of the mortgage process, the mortgage lien generally has higher priority than any other claim. Even federal tax liens filed by the U.S. government must adhere to the lien priority order. They do not supersede the mortgage lender's initial claim. Each new lien that a creditor files is a junior lien compared to those filed previously, and it is superior to any liens that follow. Junior lien holders have the same foreclosure rights as superior lien holders, but when a junior lien holder forecloses, all superior liens remain with the property – making it less attractive to potential buyers . Although a foreclosing creditor must notify all other lien holders of the pending foreclosure, it does not have to compensate junior lien holders before it can legally seize and sell the house. The foreclosure process clears all junior liens from the title – enabling the foreclosing creditor to sell the house to another party without putting the new owner at the mercy of the former homeowner's creditors. Exceptions might exist if the foreclosing creditor failed to property notify junior lien holders of the foreclosure. State laws differ on foreclosure notification for lien holders, but in this case the junior liens might survive the foreclosure and be passed on to the buyer. 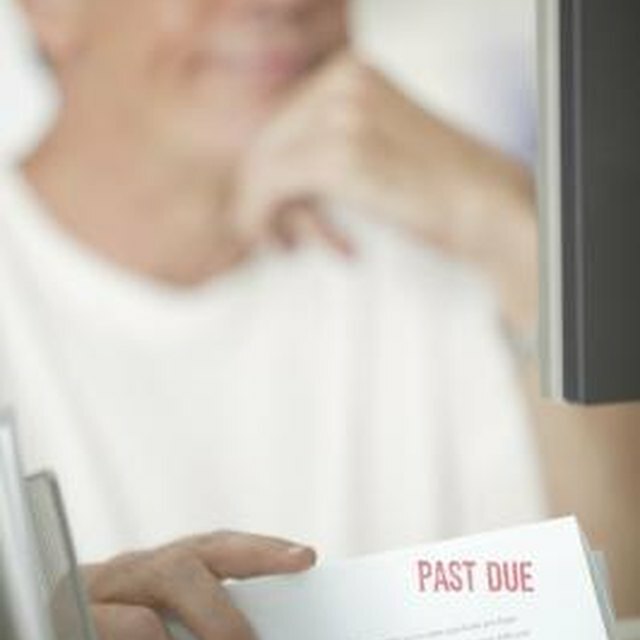 When a creditor attaches a lien to a home, the debt that created the lien is secured by the house itself. The homeowner cannot sell the property without paying off these secured debts. Although the foreclosure clears all junior liens, it does not eliminate the debt behind each lien. The debts are no longer secured by the house, and they become unsecured debts after the foreclosure process is complete. Creditors whose liens are wiped clean in a foreclosure may choose an alternate collection route, such as wage garnishment or bank levies. Although a mortgage lender isn't the only lien holder with the ability to foreclose, most foreclosures are performed by mortgage companies. Like junior liens, the foreclosing creditor's lien no longer exists once the foreclosure is complete – but foreclosure itself doesn't always satisfy the debt. If the price the lender receives when it sells the house does not meet or exceed the amount you owe, a mortgage deficiency remains. The lender has the right to collect this deficiency as an unsecured debt after foreclosing on its lien. If the lender pursues a court judgment against you, it may use the judgment to attach liens to other property you own, such as a car, a boat or a second home.